Girls Just Want to Have Stamps: Over a Year!!! Oh my goodness! It has been over a year since I posted on this blog! Sometimes life just takes a turn and some priorities need to get rearranged. Well, it is time I re-arrange again! So hopefully, I can get back to posting more often! For my first post of 2012, I have some color challenge cards for you. The colors were Always Artichoke, Lucky Limeade, Pacific Point and Island Indigo. Once I had the stuff out, I just kept going. SO here are three different cards using these colors. 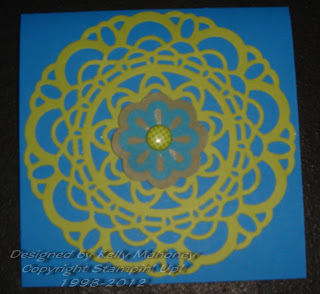 This first one uses the new Paper doily large sizzlits die, the 3 step flower punch and a Sale-a-bration brad. 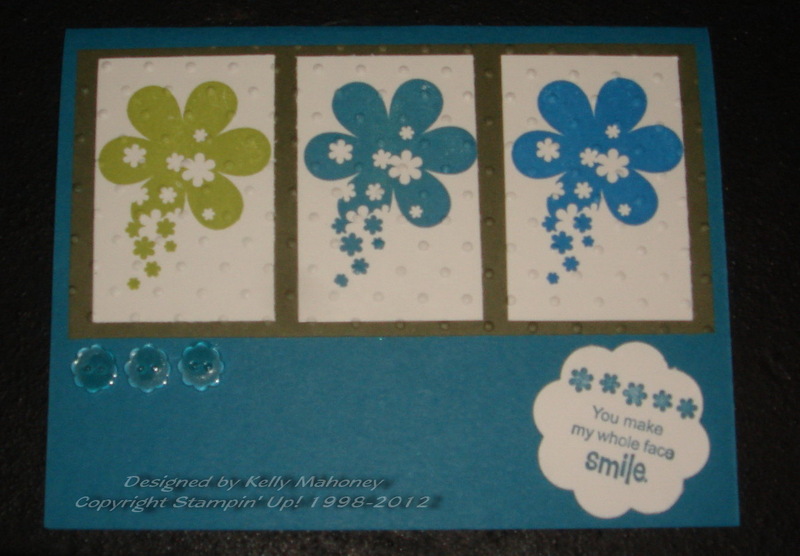 This one uses the Sale-a-bration set called "sprinkled expressions". I also ran the top panel through the Big Shot with the polka dot embossing folder. 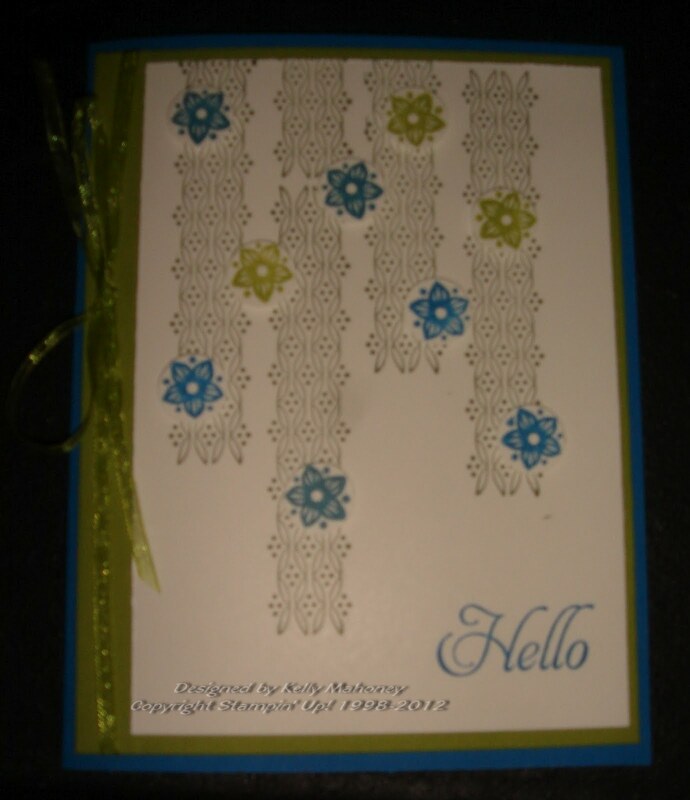 Finally, this card uses the Sale-a-bration set called Fresh Vintage and the "Hello" is from the Elementary Elegance set. The ribbon is also from Sale-a-bration. I used a sketch from PaperCrafts magazine to get the idea for the layout and design of this card. I hope you enjoy these cards! Wish me luck in keeping up with this blog this year! !